SkyTruth Oil Spill Reports is where we at SkyTruth publish our reports on oil spills that we observe around the world. 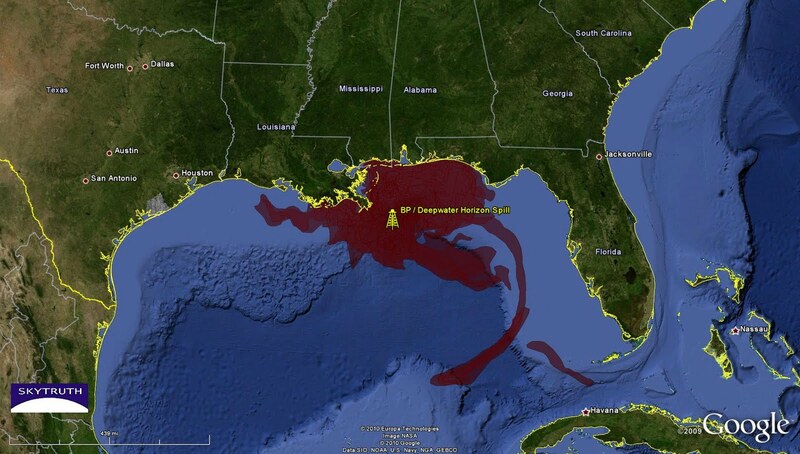 SkyTruth has released a report estimating the total amount of oil spilled in what we believe to be the longest running continuous oil spill in the Gulf of Mexico. 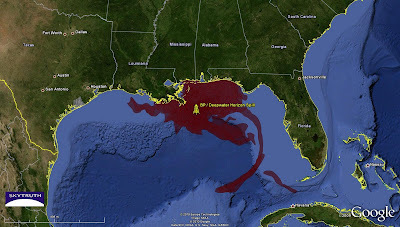 The spill started in September 2004 when Hurricane Ivan destroyed oil platform 23051 operated by Taylor Energy, leaving the 26 undersea wells buried beneath an undersea landslide and slowly leaking their contents up through the mud and into the water. We estimate that the spill has released as much as 1,174,492 gallons of oil cumulatively through the end of 2011, and it continues leaking to this day. We launched this site in February, 2012 so that we could start to collect the many reports that we have published over the years in one place to make it easier for people to find and compare them. This site is still a work in progress - we will be publishing all new oil spill reports here and we will be gradually collecting past reports here as time and resources permit.